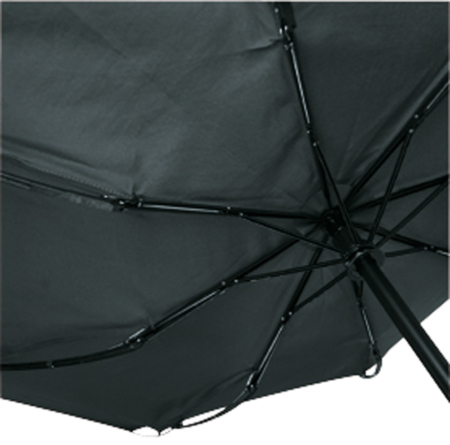 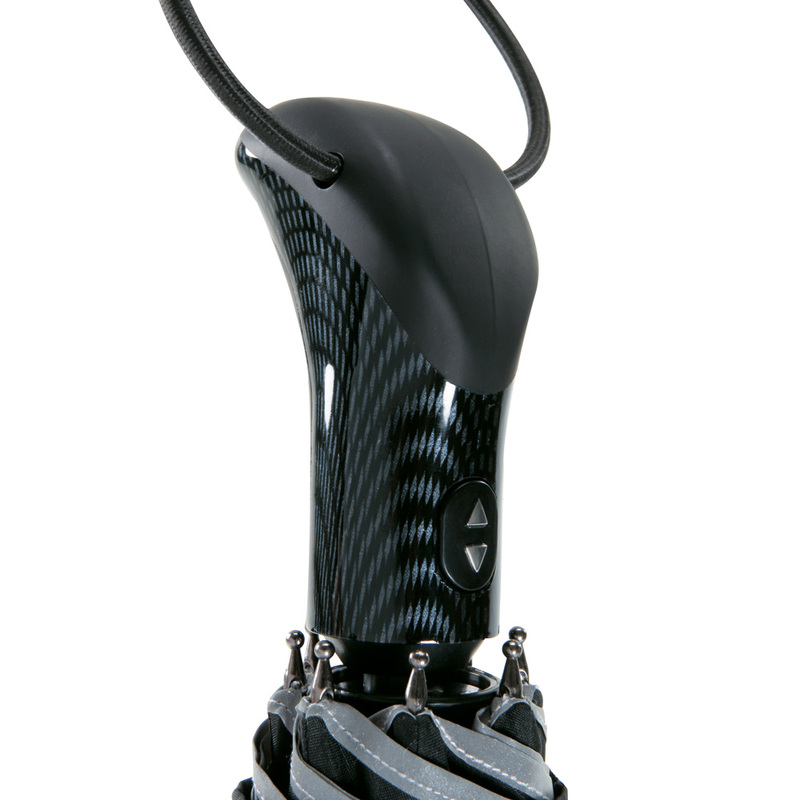 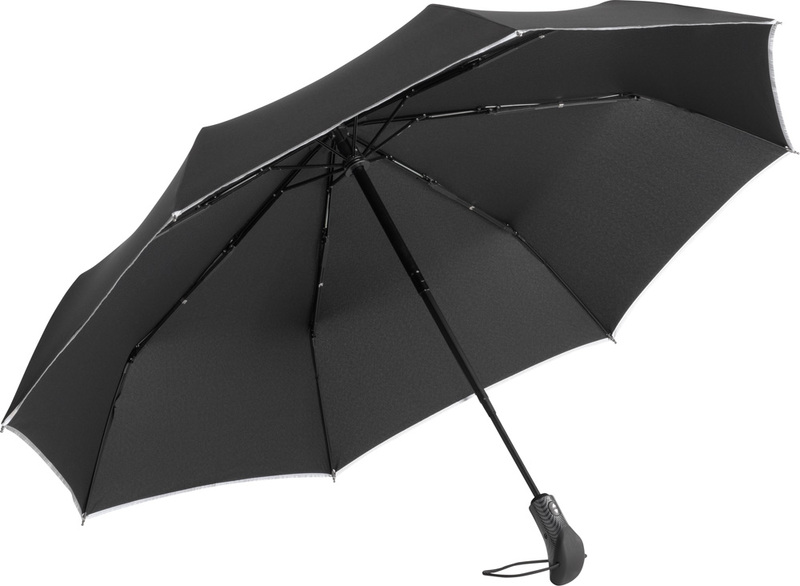 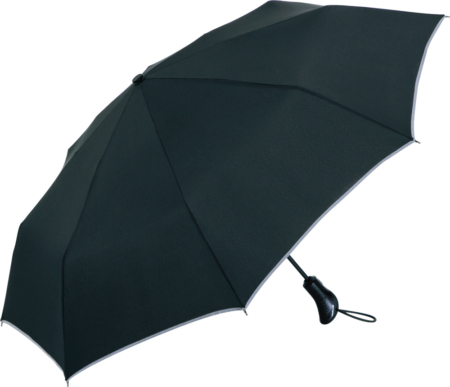 Magic-Windfighter carbon oversize mini umbrella, TÜV-certified, automatic open/close, 58 cm / 8 ribs, 3-section black frame, windproof-system with FARE® FlexBar plastic ribs, black special coated plastic handle with carbon look and push-button, special zipper cuff case, polyester pongee cover treated with original DuPont ™ Teflon® (water and dust repellent), with silver reflex piping (according to DIN EN 471)*, approx. 105 cm Ø, closed approx. 32 cm, approx. 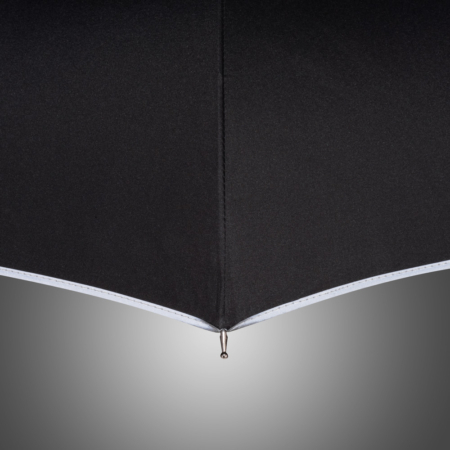 410 g, PU 12 pieces *after sale of present stock-quantities the reflective piping will be changed according to EN ISO 20471.